Vineyards real estate in an established private, gated golf and country club community conveniently located in the heart of North Naples in Southwest Florida, comprised of unique luxury single-family homes, villas and condos, existing within 1,375-acres of well-manicured tropical terrain and offering an array of floor plans and options that give buyers the freedom of choice. 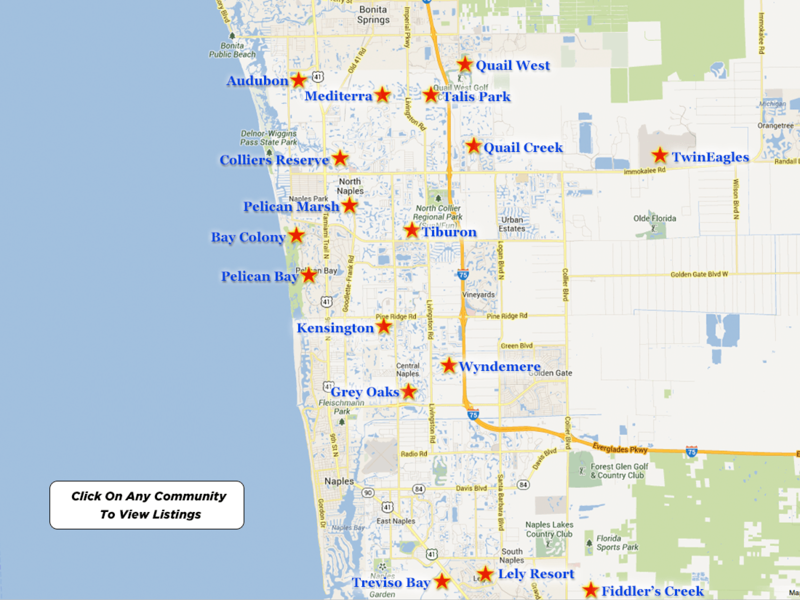 The Vineyards community is situated just east of I-75 exit 107 off of Pine Ridge Road, located 30 minutes from Southwest Florida International Airport. Additionally, Vineyards golf course is just a short drive to the breathtaking beaches and waters of the Gulf of Mexico, Naples Bay, five-star luxury hotels, superior hospitals, medical facilities, schools, upscale shopping and gourmet dining at The Village on Venetian Bay, The Waterside Shops, Mercato, The Coastland Mall, the boutique shops and fine gourmet restaurants of Fifth Avenue South and Third Street South, The Naples Philharmonic at Artis-Naples and The Baker Museum, The Barbara B. Mann Center, The Naples Zoo and The Naples Botanical Gardens. 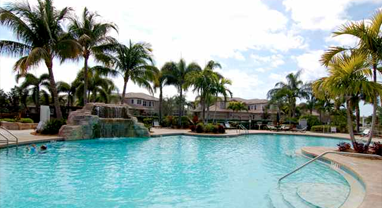 Spanning across diverse landscaping, Vineyards real estate consists of five prestigious residential communities… Avellino Isles, Aspen Palms, Hammock Isles, Venezia Grande Estates and Vista Pointe. The well-planned spacing and location of residences provides homeowners with impressive unobstructed views of the golf courses, tropical fauna and flora, sparkling fresh-water lakes and water features. The Vineyards community strives to protect the environment with providing a quality wildlife habitat and for conserving the natural resources of this attractive area. 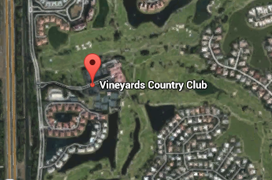 Within this amazing Vineyards community, championship golf is everywhere. The Vineyards is truly a paradise especially when it comes to playing the game of golf. Members have the choice of two world-renowned 18-hole par 72 championship golf courses, each one pristine and well-maintained. The stunning North Course was designed by PGA professional Mark McCumber, and replicates golf play on a Scottish links-style course. The North Course has universal appeal with an agreeable layout and multiple tee placements, permitting each individual to play to his and her skill-level. 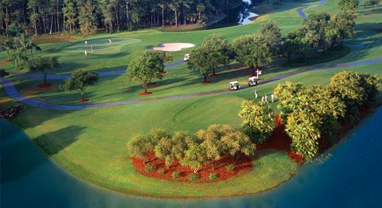 The beautiful South Course appeals to both the amateur and the professional player, and was designed by Bill Amick. Challenging but never overly arduous, the course offers an intriguing combination of shots that test imagination as well as tactical ability and skill. As a former host of the Naples’ PGA Senior Event, the South Course has earned the reverence of many celebrated PGA players. Both the North Course and the South Course integrate the natural environment throughout the entire layout of the golf course…rolling lush fairways, flowering marshes, crystal-blue fresh water lakes, manicured greens, towering oak trees, pines and palm trees, sandy white bunkers, flowering natural vegetation and well-maintained tropical landscaping is intermingled amongst the lovely custom residences. Experienced onsite PGA golf professionals and a teaching staff assist with improving the game of golf, and the pro shop is fully equipped with all of the latest sportswear trends and state-of-the-art golf equipment. As an added feature, there are reciprocal golf programs with many area clubs during the summer months, enlarging the scope of golf play. Members of the Vineyards community are privy not only to spectacular championship golf, but to a variety of benefits, facilities and amenities that include a beautiful 70,000 square foot clubhouse with breathtaking views of the surrounding golf courses and tropical landscaping, providing the members with casual to fine gourmet dining. Furthermore, there are multiple resort free-style outdoor swimming pools and a luxurious spa, a contemporary Tennis Complex with a certified USTA professional staff and access to twelve-lighted Har-Tru tennis courts, a modern Fitness Center and Aerobics Center with professional trainers and an array of exercise activities including aerobics, Zumba, spinning, yoga, free weights and dance. Additionally, the Vineyards golf community offers its residents convenience and an array of amenities, including a well-maintained baseball field, racquetball courts, basketball courts and numerous dining facilities. Vineyards is also biking and jogging friendly, providing several long distance paths throughout this well-designed residential community. Vineyards Golf and Country Club is proud of its diverse membership and strives to provide various options to suit every individual’s needs, thereby offering a variety of memberships. There is truly something for everyone at Vineyards…from gourmet and casual dining, tennis, award winning championship golf, an array of social activities and unique private events. Please note that Full Golf Memberships, Sports Memberships and Tennis Memberships are currently available. Since each and every member at Vineyards has specific preferences, the Vineyards Golf and Country Club has arranged a number of membership packages from which to choose, ranging from a Social Membership to a Full Membership Package. Additionally, prices and fees are subject to change. I have been selling Marco Island and Naples Real Estate since 1978. I make it easy and enjoyable, while presenting you with all of the FACTS necessary to make an informed decision. There is a lot which one needs to take into consideration when buying Vineyards homes for sale in Naples Florida to insure that you are not only buying the lifestyle that you are searching for; but, that the property does not have any ISSUES and that you are getting a good VALUE.